The report ‘Nordic Energy Technology Perspectives 2016’ published by IEA looks at energy scenarios for Northern Europe / Scandinavia and pathways to carbon-neutrality. Several Sankey diagrams are included in this extensive study. These are the energy flows in the nordic countries caused by transport. The first Sankey diagram is for the current situation (data from 2015), the second for a 2050 carbon-neutral scenario (CNS). 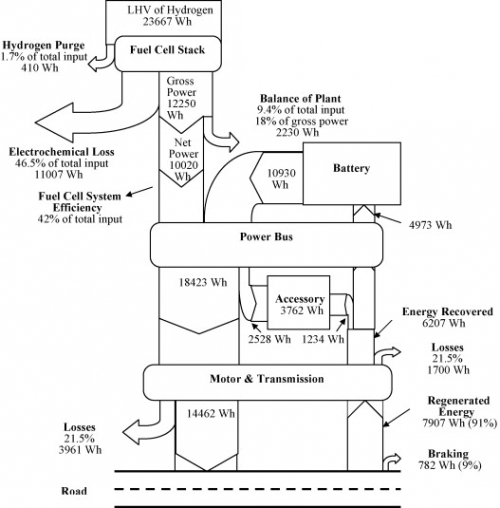 In the 2050 scenario we see a massive shift from diesel and gasoline powered transport to biofuels and electricity. This ambitious target could be achieved with “fuel efficiency improvements on existing technologies but also rapid penetration of alternative drivetrain technologies such as hybrids and electric vehicles” (p. 66). This is quite an interesting Sankey diagram from the World Energy Outlook 2014. It visualizes international spending on energy efficiency measures in the transport sector under a hypothetical ‘New Policies Scenario’. A total of 14.5 trillion US$ would be spent until 2040 to improve energy efficiency in the transport sector. The largest chunk (37%, 5.3 trillion US$) on improving private cars. This amount is further broken down to four geographic regions. The money would be spent mainly on improving the power train, and on development of light-weight components. 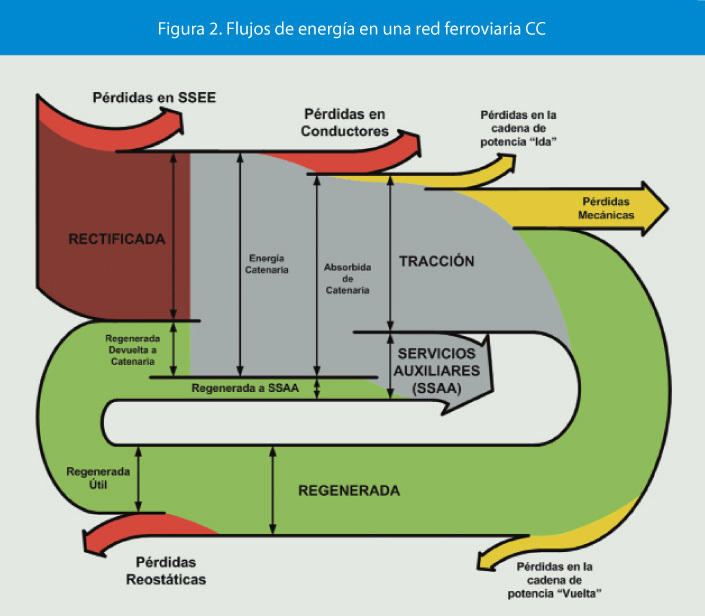 The article ‘Aprovechamiento de la energía procedente del frenado regenerativo en ferrocarriles metropolitanos’ by Álvaro López López published in the Spanish journal ‘Anales de Mecánica y Electricidad (May/June 2013)’, pp 12-18 has the following Sankey diagram. No absolute numbers are given here. Still, we understand that from the motion energy during braking of the train a part (green flow) can be recovered and is being used for secondary systems (‘SSAA’) as well as being fed back into the overhead wire (‘cantenaria’). Not sure though whether this Sankey diagram is a representation of the energy recovery during braking action only, or of the energy flows on a typical train ride. South China Sea has recently garnered increased media attention due to China reclaiming land and building an airfield on Fiery Cross Reef. 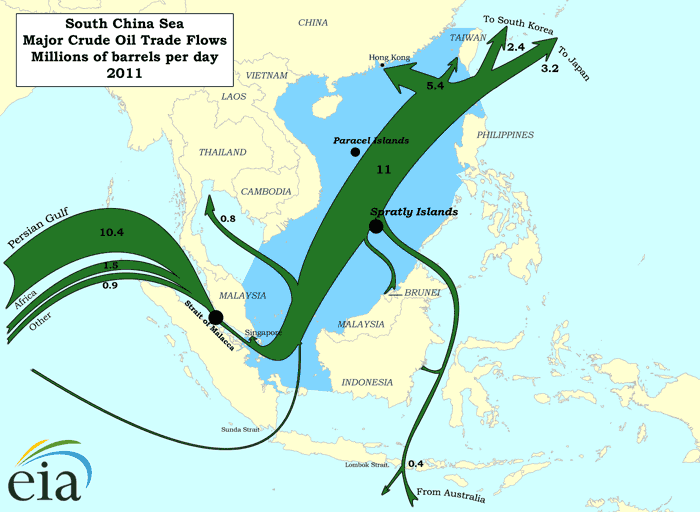 The territorial dispute regarding Spratly Islands has been simmering since the 1970ies when oil was discovered in the region. 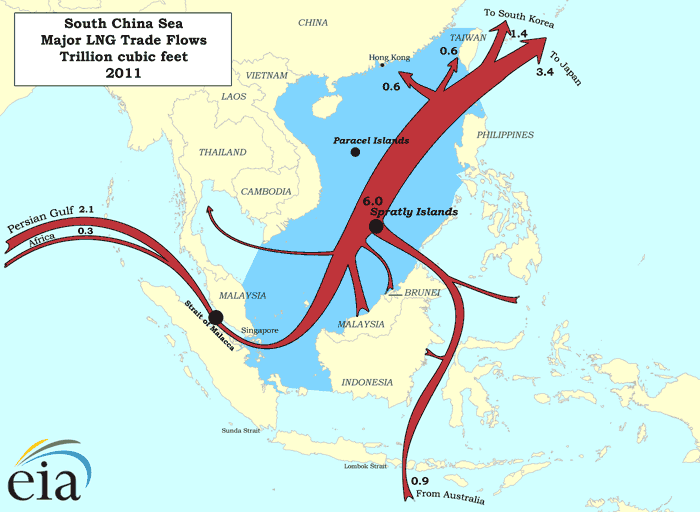 South China Sea is also “one of the busiest shipping lanes in the world” with “more than half of the world’s supertanker traffic, by tonnage, pass[ing] through the region’s waters every year” (Wikipedia). The Department of Energy has two interesting maps on their beta website showing LNG and crude oil transport for 2011. These are ‘Sankey-inspired maps’ rather than exact Sankey diagrams. Arrow widths are not maintained where the shipping routes pass through narrow straits. 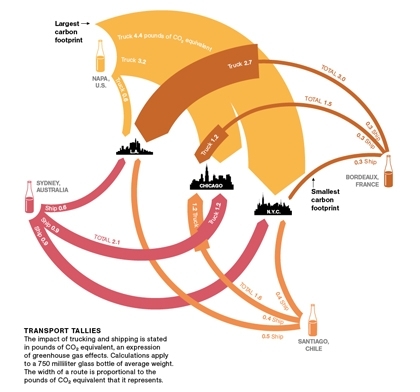 Nevertheless, transport volumes are generally on a correct scale. John Cochran blogs about his coursework at University of Virgina. His project on ‘Urban Metabolisms’ has this Sankey diagram of food being transported to New York City. Data is from The Federal Highway Administration (USDOT) Freight Analysis Framework. It remains unclear whether the flows displayed in the diagram are for payload (e.g tonnes of food) or payload distance (e.g. tonne-kilometres). Also, it is not mentioned, whether, for example, water and drinks (typically sourced locally) are included. I think the idea of thie Sankey map overlay is great, but the issue of spatial representation of (dense) data points has not been adequately adressed. A zoomed NY state would maybe help.